LinkedIn has become much more than a job acquisition tool for the young and hungry, expanding beyond its “social networking” borders and turning into a robust advertising option for both B2B and B2C brands. Why your company should be thinking about LinkedIn ads. How HSBC and Nissan are running successful campaigns on LinkedIn. Actionable advice for taking your first steps, courtesy of thought leaders who live and breathe LinkedIn. 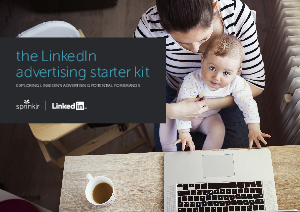 In short, you’ll learn why advertising on LinkedIn is the next smart step for your business.